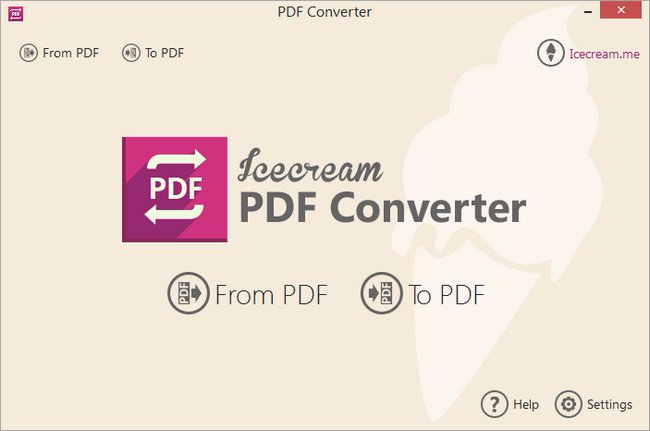 Icecream PDF Converter is a powerful tool for converting many file types to PDFs, or converting PDFs to individual images. The process starts by choosing a conversion type (“From PDF” or “To PDF”), then dragging and dropping your target files onto the program. PDF files can be converted to various image formats: JPG, PNG, BMP, TIFF, GIF, EPS or WMF. In theory these can also be packaged as HTML, although this didn’t work for us. There’s better support for creating PDFs, with the program importing some Office documents (DOC/ DOCX, XLS/XLSX, ODT, ODS), images (JPG, PNG, BMP), ebooks (EPUB, MOBI, FB2), HTML and more. You get various options to control the conversion process. It’s possible to extract page ranges from a document, for instance (10-15, 123-131), or to merge various input files into a single PDF. Finally, you’re able to choose the output folder. When converting “From PDF” this defaults to a subfolder (MyFile.PDF > MyFile\MyFile_1.JPG, MyFile\MyFile_2.JPG), but this can be set to whatever you like. For some reason this didn’t always work for us. One test PDF had its images missing from the original DOCX, and we had significant problems converting to HTML (that is, nothing happened at all).